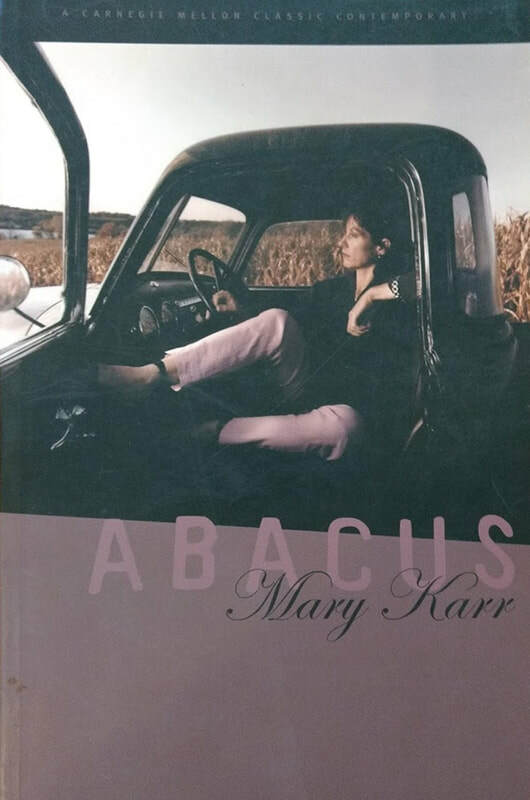 Before Mary Karr gained wide acclaim for her award-winning memoirs and poetry collections, she became controversial figure in the American poetry establishment, thanks to her Pushcart-award winning essay, "Against Decoration." She followed that up with this searing, honest, and plain-spoken book. Abacus, her first poetry collection, which has been out of print for nearly twenty years, is again available in the Carnegie Mellon Classic Contemporaries Series. myself, just thrilled to be so big. to puff me up again. She shook her head. her taste for alcohol and men. I re-create my nose dive from womb to earth.